Largely modelled by science revolutions, our awareness of the world surrounding us is constantly changing. New knowledge and information are relayed at an extremely fast pace, impacting our vision of things. Cosmetics cannot but follow these contemporary movements. 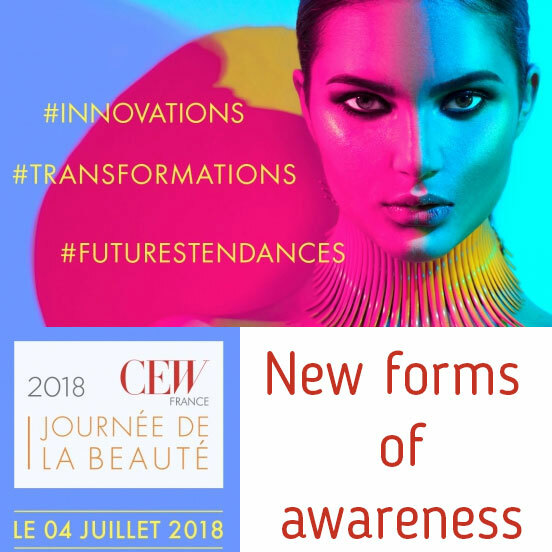 At the Journée de la Beauté organized by CEW on July 4, 2018 in Paris, science and trends expert Marie-Alice Dibon and trends analyst Hugo Willemin provided an overview of the new forms of awareness inspiring the beauty industry. ‘When we talk about new forms of awareness, most people tend to think about sustainable development or the vegan and cruelty-free movements. And yet, other revolutions are affecting our ways of thinking, and as a result, our consumption patterns,’ Hugo Willemin explained as an introduction. The microbiome refers to all the microbes, bacteria, and yeasts composing a given system. Every ecosystem has one, whatever its size. ‘From radioactive waste to flies, or even metro lines and clouds, there is always a microbiome. It is a continuum, a new biological dimension, an invisible world which was completely unsuspected until very recently,’ explained Marie-Alice Dibon. There are microbiomes on plants, animals, and humans. Plus, every part of the human body has their own microbiome. As a result, bacteria are an integral part of the human body’s anatomy and functioning. ‘As a matter of fact, bacterial genes make up most of our bodies,’ she emphasized. ‘All sectors are growing aware of it, as they highlight all the benefits that can be reaped from the diversity of the bacterial ecosystem, such as art or even the heavy industry,’ commented Hugo Willemin.